Worried your prayer requests aren’t big enough? Pray anyway. Some years back I was at a large Christian event. One speaker started off by thanking everyone who prayed for him earlier that day. Apparently, that morning he’d lost his keys. During an earlier session, he’d asked the group to pray for God to help him find them. Now he was thrilled to report that, in fact, the keys had been found! Didn’t we all just love how much God cares for us, he asked? The crowd, with much clapping and amen-ing, seemed to agree. 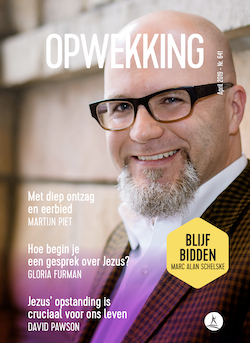 Note: This post was translated into Dutch and appeared in the print edition of the magazine, Opwekking, in April of 2019. Here’s a link to the translated version, and to the magazine’s website. What kind of God cares about lost keys and parking spaces and whether or not it rains on the church picnic, but doesn’t seem to show up when people are dying? I was recently in a conversation with a friend about this. She and her family are in the middle of a significant life transition. Finances are up in the air. They might have to relocate. Stress and anxiety are mounting. My friend said she was feeling guilty praying for God to intervene in their circumstances. Sure, they need provision, but all around are people in much greater need: Hurricane victims losing everything. Families being bankrupted by medical expenses. Friends learning they have terminal cancer. How to pray when you’re unsure about praying. Her tension makes sense to me; I’ve felt the same. Prayer is one of those subjects where I just have to trust the mystery. I don’t get the “physics” of it. I know what the Bible says. I’ve heard plenty of testimonies of answered prayer. I’ve even had a few myself— concrete answers to prayer so unexpected, so providential, it still makes my head spin to think about them. So, I pray, but I don’t “get” prayer. I am by no means an expert on the subject, but there are a few principles I’ve come to, both through my study of scripture and through my experience. This is what I shared with my friend. Maybe you’ve felt the same as she does, unsure of whether you should pray or not because your needs just don’t seem important enough. If you feel that way, consider this. 1) God’s attention isn’t limited. When both of my kids need something, and they’re talking at the same time, I can’t hear them both. It gets noisy and stressful. It can be hard for me to prioritize my response to them. But that’s me with my ADHD brain and limited human capacity. .God’s not like that. God is imminent. That means God is near to all of us. And God is infinite. That means God can hear us all without being overwhelmed. God can handle all of it. 2) Suffering isn’t a competition. I have struggles in my life. So do you. Oh, and everyone else, too. We don’t need to compare them. Everyone only has their personal experience of their own suffering to work from. For each of us, our suffering is as significant as our experience of it. It’s our pain. Someone else’s “bigger” problem doesn’t mean our problem stops feeling “big” to us. We’re told in scripture to take our cares to God in prayer. (Ps. 55:22, Phil. 4:6, and 1st Peter 5:7 are all examples) We’re not told to pre-screen our prayers by severity. God doesn’t need us to weigh our prayers, like a cable customer trying to decide if the problem is big enough to warrant a call to customer service. 3) Before anything else, prayer is relational. Sure, when I pray, I’m often asking for something. That’s fine. You and I think about our lives in terms of outcomes. But the thing that matters first about prayer is that it is relational. Prayer is communication between you and God. God, as a perfect parent, wants the kind of relationship with us where we share our heart. Do you want something or need something? Great. But what you need more than “a fix” is to be heard. Regardless of whether you experience an answer you hope for, you will always be heard—and that is good for your heart. 4) Prayer will always shape you. When we say “God answered our prayer” we usually mean we got some tangible benefit in our lives. An “unanswered prayer” then, is when it seems like nothing happened. But that’s not ever accurate. Prayer always does one thing—even if we never see a tangible result. Prayer shapes us. The way we pray, the words we use, the things we pray about—all of this shapes who we become. This is why the ancient church, following the Jewish tradition, prayed scripture. Praying these words forms us. So, if you want God to shape your mind and heart regarding a particular concern, fear or physical need, don’t hesitate to pray. You may not get the response you want, but you will be changed. Sometimes begin changed ends up being the best answer to our prayer. 5) Jesus told us to pray. It’s true that I’m firmly in the “Prayer is about changing you, not changing God” camp. It’s also true that I can’t really get my mind around the idea of God physically intervening in the world. Yet, I still pray for God to act—and I encourage you to do the same. Why? Because Jesus invited us to pray, and then told us to pray for something as simple and mundane as our daily bread. And then in the book of James, we hear, “You do not have because you do not ask.” What?! That means there is a connection between our ongoing relationship with God and our sense of God’s work in our lives. Maybe all of the above can be boiled down to this: Don’t be insecure about bringing your concerns to your Heavenly Father. Your Divine Parent loves you and wants an ongoing relationship with you. That includes you sharing your needs. 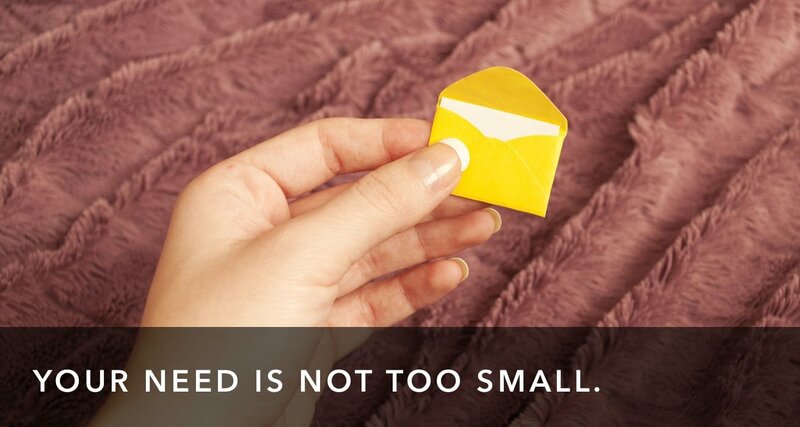 You don’t need to measure, pre-qualify, or carefully compose your words. So, even if it doesn’t make sense, even if you’re not sure how it works, even if you worry that your needs are too small, bring what you need to God in prayer. That’s just part of living in a loving relationship.